Granny Maya is furious! She hates Terrible Turkey so much, her blood is boiling like a magma! 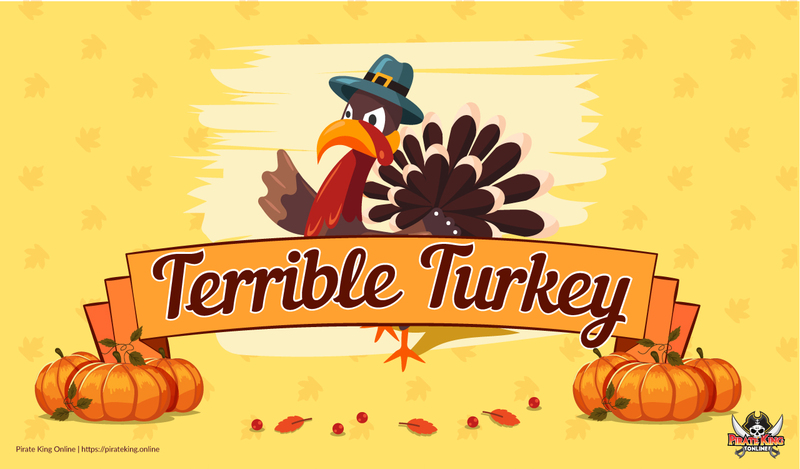 She's upset, annoyed, and tired of Terrible Turkey, she has a favor for people to take care of Terrible Turkey! If someone doesn't take care of it, her blood pressure might explode and we'll witness a death, more importantly, the thanksgiving will be canceled! Someone, please help her! The Terrible Turkey Quest will begin with Innkeeper - Granny Maya however you must approach Event NPC - Pappa to accept the initial quest which will permit you to aid Granny Maya. You have to purchase a scroll in the item mall for 25 rum to be able to summon the turkey. It has 2 million HP and doesn't do anything but run around while you kill it. Or can purchase from NPC.